The way for a new Constitution has literally become rutted, rugged and rickety because the two main parties harbour stark differences even on some salient points such as executive presidency, the unitary character and power devolution. The United National Party (UNP), as the main party in the government, seeks the abolition of executive presidency whereas the Sri Lanka Freedom Party (SLFP) led by President Maithripala Sirisena is to retain it further. 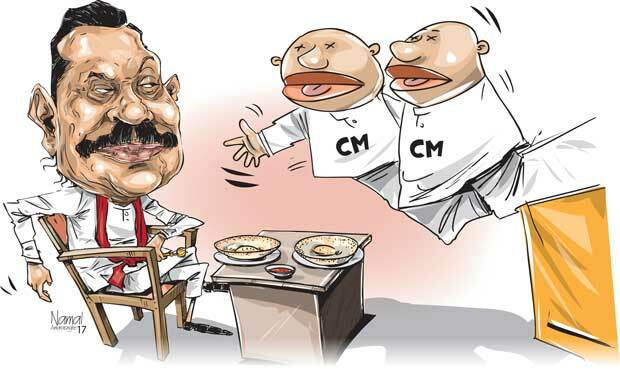 The SLFP’s position became clear as and when its ministers announced, on several occasions to the public that the party’s next presidential candidate would be none other than President Sirisena. In a way, it was a message meant for the neutralization of the Joint Opposition in trying to find a candidate. Alongside it is a signal to the UNP that the SLFP is not ready for the abolition of executive presidency. The abolition of the executive presidency is a key policy line taken by the UNP. It insists on it again and again. Its members counter-attacked the President’s position saying the candidate is not for retaining it. Also, the SLFP outlined that it would not go beyond the 13th Amendment in power devolution. Against the backdrop, the Constitution-making process has virtually been stalled for the moment. It can move, at least, an inch forward only if either party is ready to budge from its position and take drastic steps back to be accommodative by the other. Moreover, the SLFP which initially wanted to work according to a time-bound action plan for the submission of its proposals has now chosen otherwise. “We will not have any timeline fixed for the submission of our proposals to the Steering Committee. We will talk to whatever organization that wants to share its views with us on constitution-making,” party spokesman Minister Dilan Perera said. Such developments direct to the point that more hurdles lie on the ground against the Constitution-making process before it reaches its conclusion. The Tamil National Alliance (TNA), which is an amalgam of three parties with their politics concentrated in the North and the East, clamours for constitutional changes with power-sharing more than any other party with parliamentary representation. Recently, the party took stock of the current status of the process at a meeting. Most of its MPs are of the opinion that the process has already been derailed. However, the TNA chose not to articulate their despondency in this regard in the open. Instead, it would still try to cooperate with the government to forge ahead in whatever way possible to bring the process to a successful conclusion. In an attempt to unite the factions of the United People’s Freedom Alliance (UPFA), five Chief Ministers who represent the party called on former President Mahinda Rajapaksa last Sunday. Their efforts, undertaken with the knowledge of party leader President Maithripala Sirisena went awry because MR and his team were not receptive to the suggestion. Right from the beginning, the Rajapaksa group viewed it as an attempt to dupe them this time to face the future elections - the local government and the Provincial Council elections due this year. At the negotiation table, the Chief Ministers suggested that it was time for all the factions to shed differences and act in unison in view of elections. Sceptical of the move, MR spoke out his bitter experience at the last parliamentary elections. “At the last election, I spearheaded the campaign on behalf of the party. Yet, none of my members was offered a slot on the National list. Instead, some defeated members were nominated as MPs on the list. They are being used today to slander me. My people ask me why I am going to be duped once again,” he said. Further, he asked, “How can we associate ourselves with a government that is implementing the UNP policies? Supportive of this stance, MPs Bandula Gunawardane, Gamini Lokuge and Prasanna Ranatunga and former Minister Prof. G.L. Peiris put forth their views and said their people were dead against any patch-up under the current circumstances. Some of these Chief Ministers are in close contact with MR, so they might have assumed that their good office could be used to politically court the former President. Acrimony between the incumbent president and his predecessor is now beyond redemption, and any compromise looks impossible as a result. After the meeting, all had hoppers for breakfast. 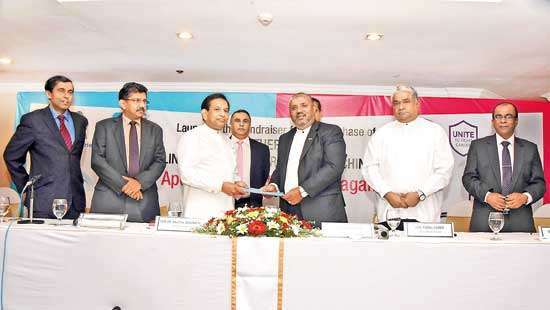 Sri Lanka Podujana Peramuna (SLPP) had a confab for lawyers. It was addressed by both MR and party chairman Prof. Peiris. The latter said as many as over 500 lawyers attended it. The new party or the Joint Opposition for that matter reportedly lacked cooperation from lawyers in the past. So, they are now overwhelmed by the presence of lawyers in a large number. 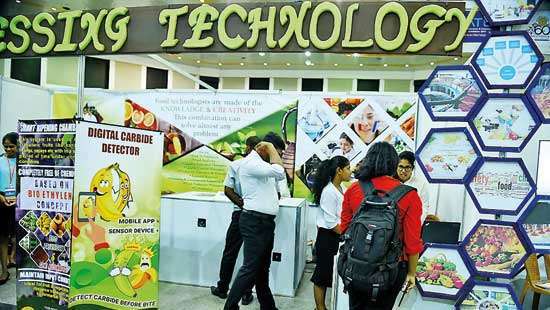 Following widespread protest by lottery sellers, President Sirisena announced that he would take steps to reduce the price from Rs.30 to Rs.20. However, the Finance Ministry decided to stick to its guns. It was leading to a row between the President and the Finance Ministry. The lottery price hike came up for discussion at the Cabinet meeting yesterday. Finance Minister Ravi Karunanayake insisted on the need to proceed with the increased rate as otherwise revenue targets would fall short. He did not receive wide support from the Cabinet Ministers in this regard and was finally asked to lower the price to the previous level. In that instance, President Sirisena was sarcastic about the Finance Ministry. “People from all walks of life rose against the government due to action by the Finance Ministry. However, even beggars would rise against the government now unless the lottery issue is addressed,” he said. The President mentioned it because a large number of financially backward and physically impaired people had resorted to lottery sales as the means of their livelihood. It is learnt that as many as 20,000 families survive by it. Besides, there are 2,000 lottery ticket agents in the country. In a separate case at the same Cabinet meeting, some ministers stressed the need for the Finance Ministry to allocate as much as Rs.82 billion for the settlement of bills for projects carried out by various institutions last year. Out of this amount, as much as Rs.17 billion is due for the Provincial Councils. The District Development Coordinating Committee meeting of Ratnapura took a tense mood after the politicians representing the district had a heated exchange of words over some power plants in the area. The meeting was co-chaired by Labour and Labour Relations Minister John Seneviratne and UNP MP A.A. Wijetunga at the District Secretariat. A tense atmosphere prevailed right throughout the meeting after Disaster Management Deputy Minister Dunesh Gankanda started speaking and called for the cancellation of licences issued for the proposed minor power projects in two areas of the district. He cited environmental sensitivities involved in them. However, Minister Seneviratne interrupted and countered him saying there was no harm in going ahead with the projects approved by the authorities concerned in the context of an impending power crisis. The Deputy Minister persisted with his argument that environmentally sensitive projects could not be approved. Minister Seneviratne also did not compromise his stand in this respect. Then, Deputy Minister of Media Karu Paranavitana joined the cross talks and said that the prevention of environmental hazards in the district was more important than focusing solely on energy needs of the country. He argued against these projects in this manner. 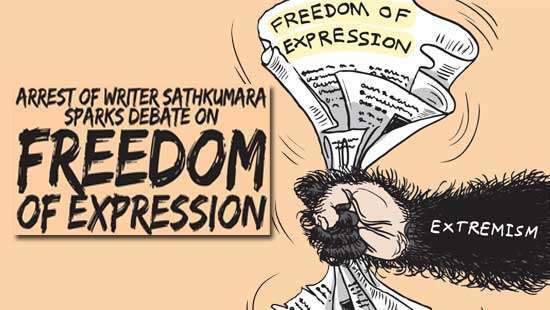 Mr. Seneviratne shot back at him telling him to shut up instead of talking about subject matters which were not known to him. Along with Mr. Paranavitana, Mr. Wijetunga also voiced environmental concerns involved in proceeding with these power projects. Interestingly, all these members opposed to the project represent the UNP in Parliament whereas Mr. Seneviratne is from the UPFA.